Metra's 82-7300 brackets will allow you to install select 6-3/4", 6-1/2", or 5-1/4" speakers in the factory speaker openings of select Hyundai and Kia vehicles. Please enter your vehicle information or call an Advisor at 1-888-955-6000 to confirm that these adapters are compatible with your vehicle. Warranty: 60 days. 6-3/4 Speakers: For a 6-3/4 speaker to fit in the opening of this bracket, the tabs around the inner speaker opening will need to be removed. They are scored along the bottom for easy removal, but still may require pliers and a file. 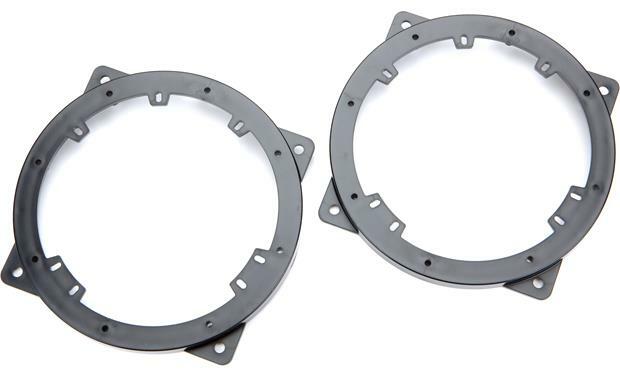 6-1/2 Speakers: 6-1/2 speakers with a 3-hole bolt pattern, Ford 4-hole bolt pattern, or symmetrical 4-hole bolt pattern can be mounted using the tabs around the inner speaker opening of this bracket. 5-1/4 Speakers: While a 5-1/4 speaker will mount easily in this bracket given the bolt pattern, the frame of a typical 5-1/4 is approximately 1/2" smaller than the opening in the bracket, making a 6-1/2 or 6-3/4 a better fit. 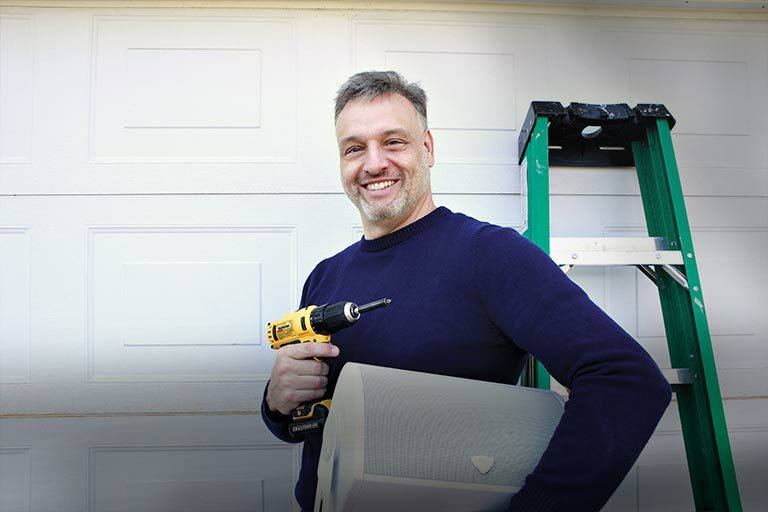 When using a 5-1/4, a speaker baffle must also be used to seal the rear of the speaker. Three-Hole Tab Spacing (6-1/2): 4.533"-5.035"
Searches related to the Metra 82-7300 Speaker Mounting Brackets Install 6-3/4", 6-1/2", or 5-1/4" speakers in select 2011-up Hyundai and Kia vehicles.